World Ducati Week took place over the weekend, and the Misano paddock was completely filled with motorcycles and people from all over the world, all sharing a great passion for Ducati. 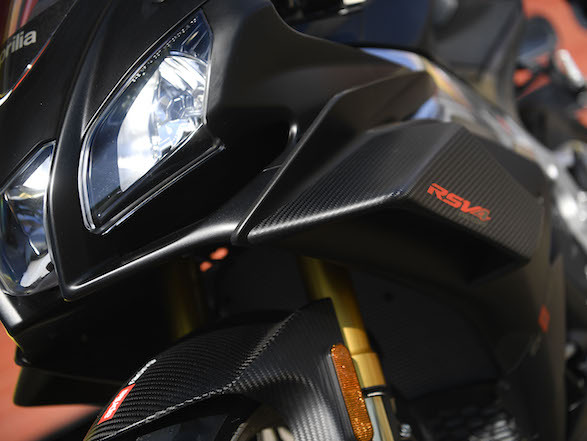 A sea of motorcycles that peacefully invaded the Adriatic Riviera and occupied more than 75,000 square metres of the circuit’s paddock with tens of thousands of motorcycle enthusiasts from all over the world. The second day of the Ducati event was preceded by a “hot” opening Friday: at the end of the day, thousands hit the road to participate in the parade that first took a lap of the circuit and then formed a long and colourful convoy of motorcycles that made its way to Rimini, which welcomed the Ducatisti with music, food and entertainmentat the “rustida” and Scrambler Beach Party energised by DJ sets from Virgin Radio. In the morning Claudio Domenicali, Ducati’s CEO, opened the second day of WDW2018 by meeting with numerous international journalists attending the event. “World Ducati Week is a big party”, declared Domenicali, “a celebration for all Ducatisti that every two years brings us all together to share the passion for this unique brand. 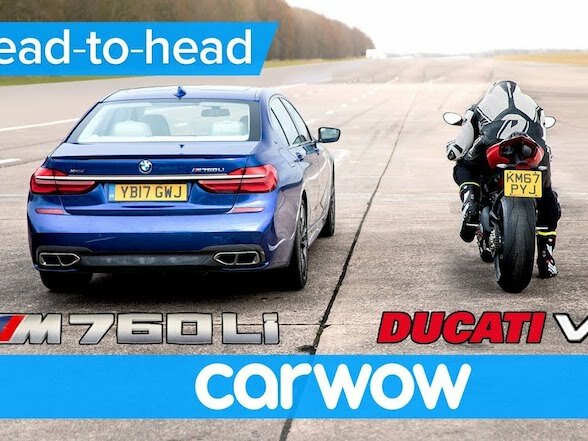 Ducati has a great past, last WDW edition we celebrated our 90th anniversary, but also an extraordinary present with a fantastic range of products. Thanks to the most beautiful motorcycles in our history, we can continue to grow, sharing emotions and achievements with our fans. Emotions like the flyover of the Frecce Tricolore just before the start of the Race of Champions, or entering the circuit this morning. 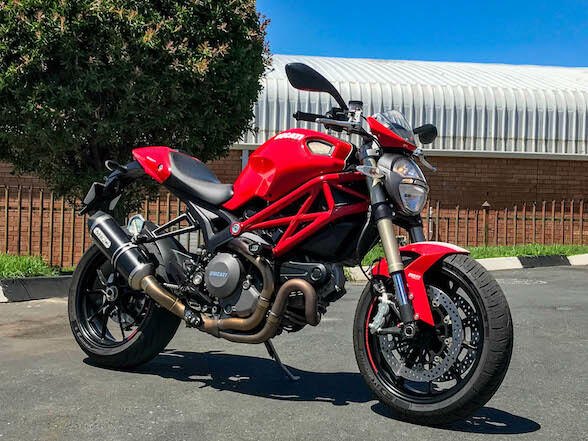 Something special, unique, powerful, which is the confirmation that I am part of a Community of women and men who work and share – along with tens of thousands of Ducatisti who have travelled to the Adriatic Riviera – the pride of belonging to this historical and prestigious brand. 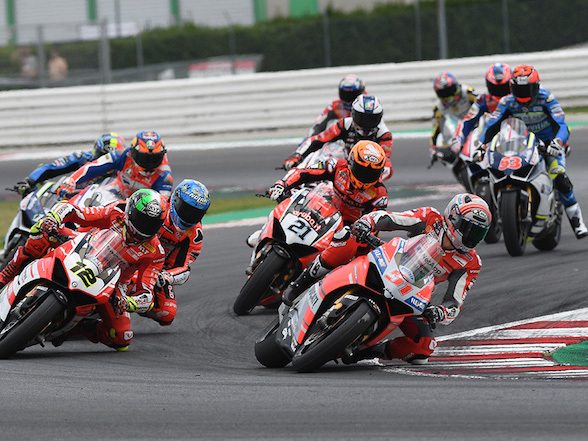 There are so many of us, yesterday 30% more than in 2016, and we expect this 10th edition to set a new record, – concluded the company’s top manager – “Seeing the paddock of the Misano World Circuit with so many people gives me goosebumps!”. 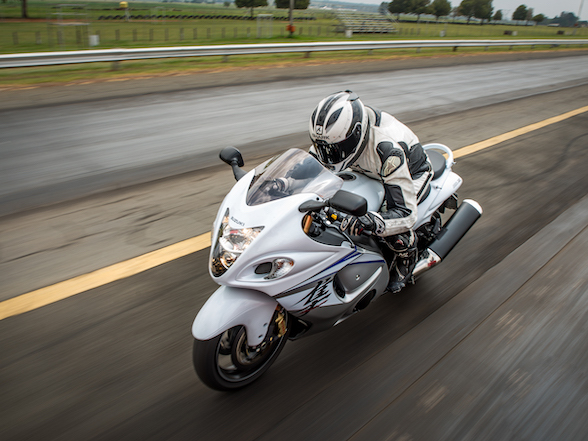 For the WDW2018 participants’ there are countless activities and initiatives scheduled: areas dedicated to the various motorcycle families, test rides, rides on the track, exhibitions, contests, stunt riding, music and lots of fun. 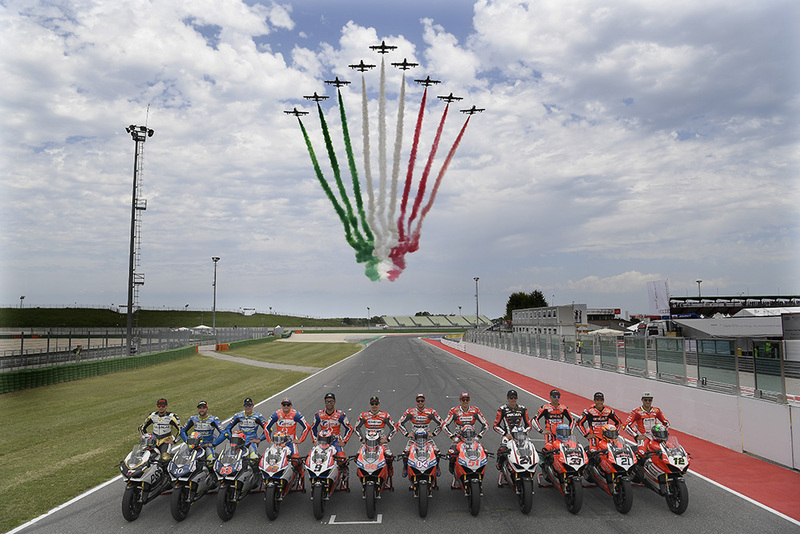 The highlight of the saturday was at 1 pm when – after a spectacular flyover by the Frecce Tricolori aerobatic team – the “Race of Champions” started. 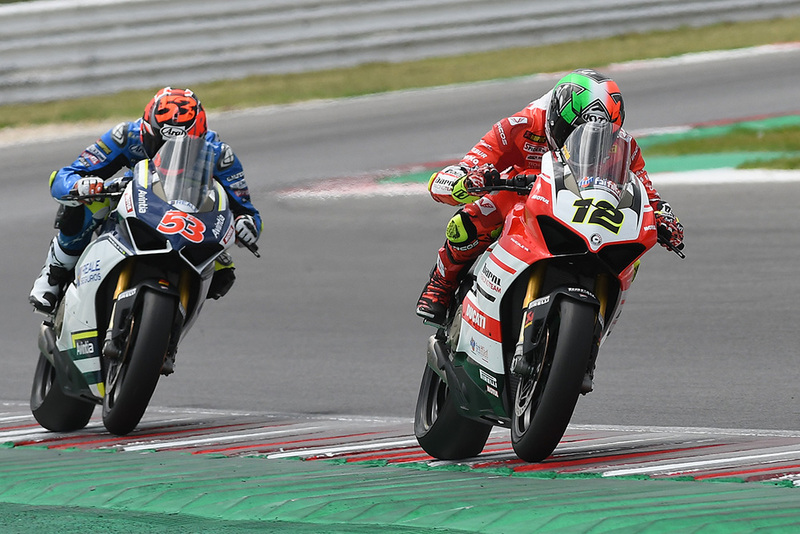 The race saw 12 Ducati MotoGP and SBK Champions competing on the Misano circuit riding Panigale V4 S specially prepared with racing configurations and dedicated liveries. 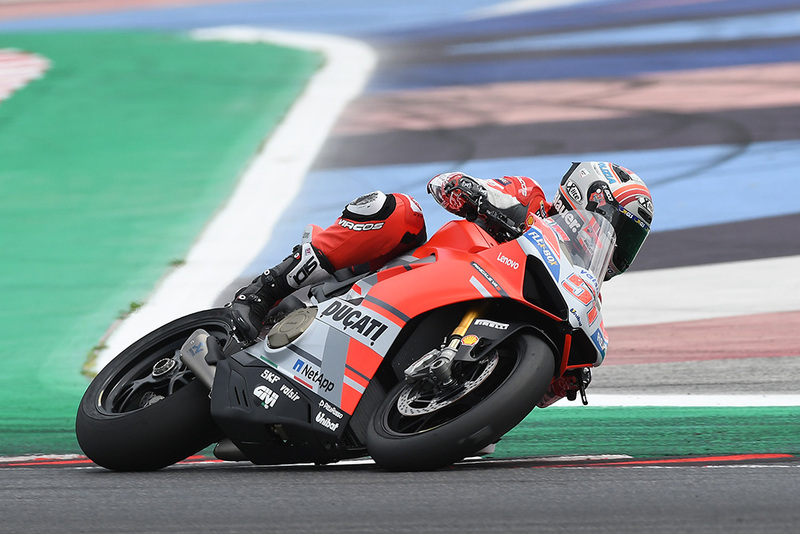 A true race, with the support of Locman as “Official Timekeeper”, with riders giving their all to win the podium, putting on a show without equal that only Ducati can offer. After the free practice sessions and qualifying rounds to establish the starting grid, the race saw Michele Pirro, who started at pole position, immediately taking the lead, setting a pace that allowed him to extend his advantage over the group of pursuers. 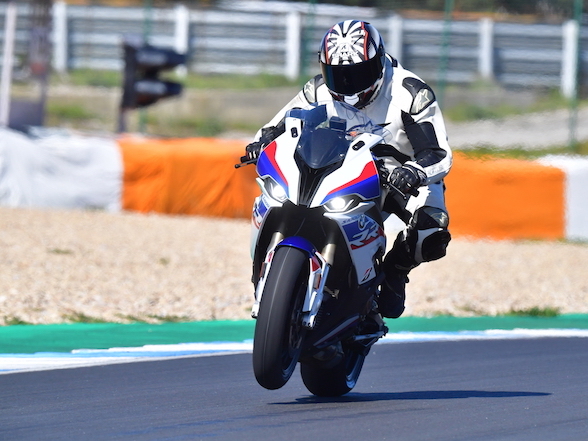 A spectacular comeback by Rabat who had a bad start but ended up taking second place after a series of duels and beautiful overtakings with Melandri, Miller and Fores, who fired up the spectators at the Misano World Circuit. 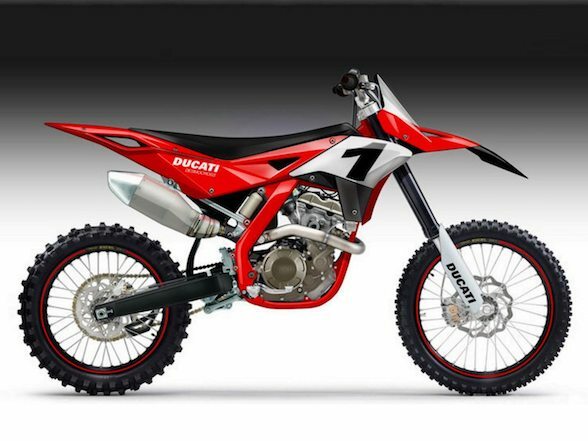 Miller, Melandri and Rinaldi followed in order, then Dovizioso, Siméon, Petrucci, Lorenzo, Abraham and Bayliss to complete the exceptional line-up of the “Race of Champions”. 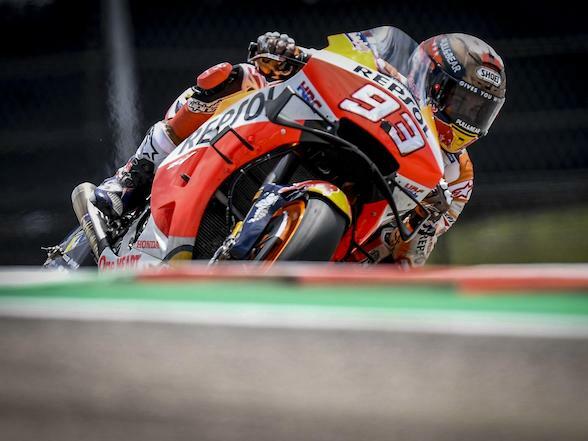 The rain – which fortunately stopped falling after a few minutes – forced the chequered flag at the sixth lap, two laps ahead of time, but didn’t detract from the great show and the victory of the Ducati MotoGP Team test rider. 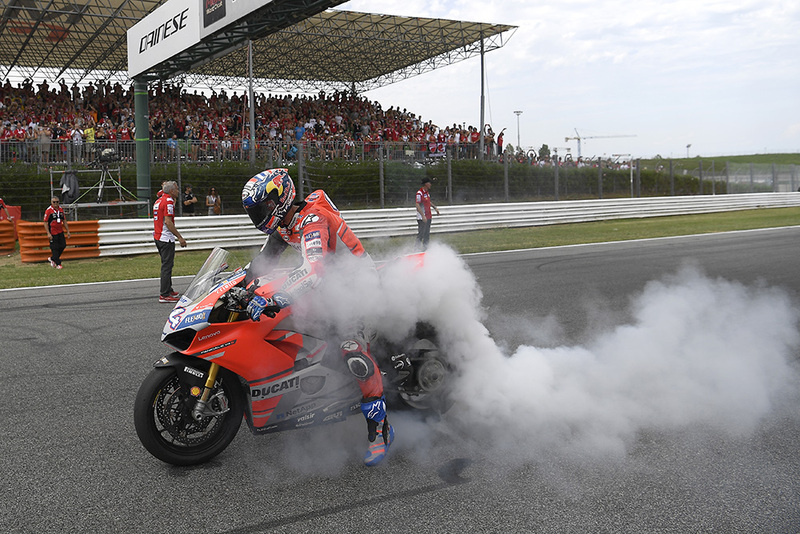 At the end of the race the riders greeted the public, with spectacular burn-outs, seing on canvas all the Pirelli tyres of the Panigale V4 S dedicated to each rider. 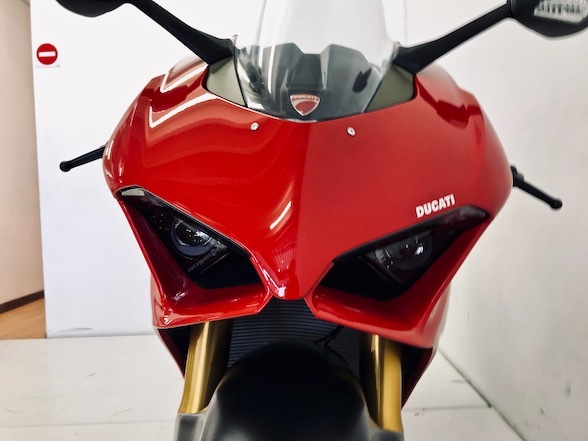 Another gift for fans all over the world: starting from the end of the race, the 12 Panigale V4 S from the “Race of Champions”, plus the thirteenth of Chaz Davies who has not competed due to injury, can be purchased through a public auction on eBay. A dream that becomes reality for the fans, who have the chance to win them until the close of bidding scheduled for Saturday, 28 July at 6 pm (CEST). Claudio Domenicali handed out awards to the three winners on the podium, giving them a sculpture replicating the crankshaft of the Panigale V4. 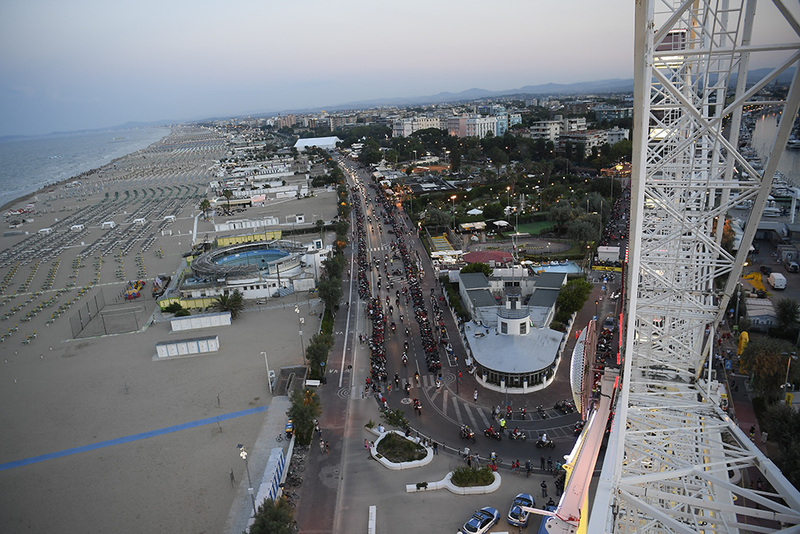 and then invited the audience to Piazzale Roma in Riccione, where riders and management on stage, presented by radio and TV personality Linus and music and entertainment from Radio Deejay, offer their greetings to all the Ducatisti, followed by a live concert by the singer-songwriter Nina Zilli. Next Post Alfie Cox on his son's win: "Bradley has never felt that he has to fill my boots"